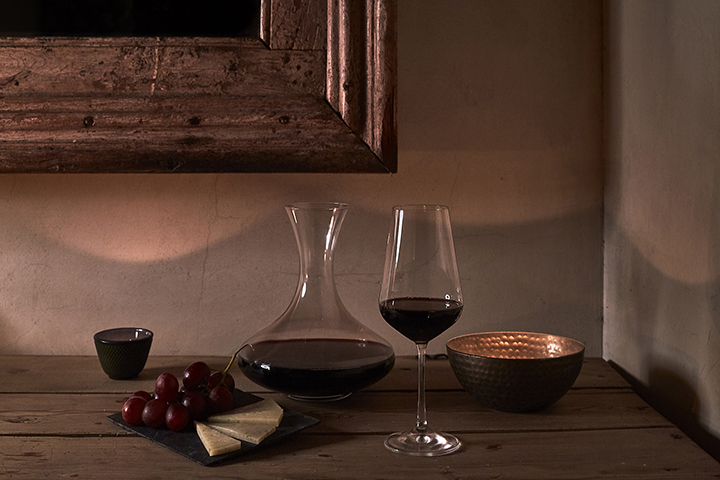 Designed exclusively for AIRE Ancient Baths, this is a unique and unforgettable experience that offers the opportunity to submerge yourself completely in the antioxidant properties of the Spanish Ribera del Duero red grapes. Afterward, an intoxicating, hour-long massage with grapeseed oil will transport your mind to another place while your body benefits from its purifying and invigorating effects. 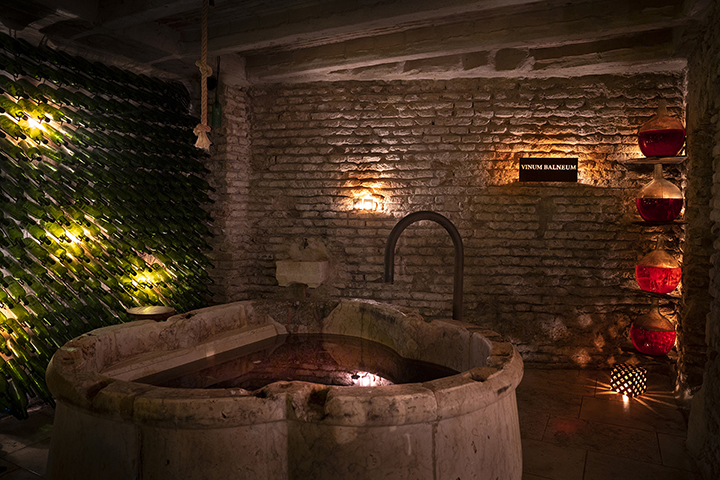 You will have exclusive access to the Wine Bath for 30 min. 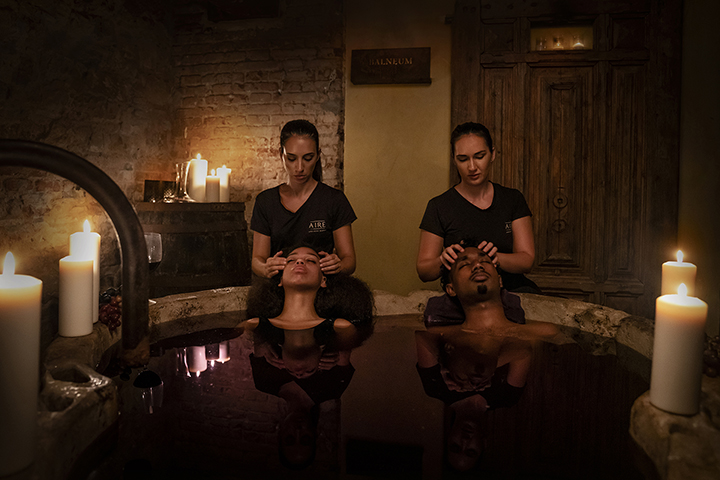 This portion of the experience happens in a private room in which you will soak in an antique venetian well of the XVII century converted into a bath. A 60 min. relaxing, full-body massage using grapeseed oil by Esdor* applied to the entire body, focused on the legs, arms and back. This oil es from the same grapes of the same winery that the soak is from. *In this experience we work with products by Esdor, the cosmetic line by Grupo Matarromera, whose products come from the best grapes in the Spanish wine region of Ribera del Duero thanks to the most advanced technological methods. *Rates do not include 4.5% sales tax. During the thermal tour, listen to your body to know when you should change from one bath to another of a different temperature. Remember that at any time you can access the relaxation room, where cold water and our special selection of AIRE Tea to keep you hydrated are always at your disposal. If at any point during your massage you feel that the pressure is too intense or too light, please, tell your therapist. This unique and special experience includes The Ancient Thermal Baths, a 45 minute hydrating and relaxing full body massage with lustrous Gardenia body butter as well as an refreshing 15 minute full body Gardenia scrub.